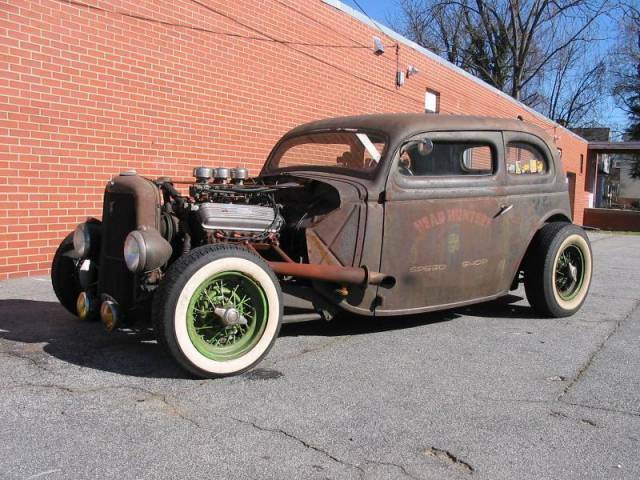 Custom Rat Rod Photo Picture Classic Cars for sale & Classifieds - Buy Sell Classic Car & Classic Truck Classifieds. Good job rigging up this one! 35 or 36 ford 2ds with a chop and 32 car or 33/34 truck grill.I can not tell a 35 and 36 apart with out the front sheet metal. Sweet...love the Tri Power Olds ! Lots of rides like this being built here in CO; rats, cabsters and traditional hot rods. Doubt this one's for sale, if it were mine I'd keep it forever.